Oil prices are surging and the scary thing is we haven't seen anything yet. Surging by 13% alone over the past week, we have seen a dramatic rise in the price of oil, as it now rest above $74 USD per barrel at the time of writing. This is the first time that we seen these prices since 2014, sparking many to wonder if we are going to test old highs, which could potentially spark another slowdown in the general economy. Others are speculating that this is simply a sign of the booming markets and the overall health of the economy as a whole. So what is it? The reality, as is often the case, is much more closer linked to geopolitical events, such as what is now unfolding in regards to negotiations with Iran. Iran, as I have previously stated, is going to be the next target of the US administration, as they begin to ease off of their harsh rhetoric towards North Korea, and place this freed up pressure directly upon the shoulders of the Iranian government. The United States government has been ratcheted up their economic attacks against Iran over the past few months, applying various additional sanctions against the country, hoping to beat them into submission and force them to end their nuclear program. On Tuesday, these attacks were once again intensified, as President Trump called on other countries to join the United States in their sanctions against Iran and cease importing oil from the country. This caused a 1.5% rapid increase in the price oil, signalling that the market believes that other countries may join the United States in their sanctions against Tehran. This "tough love" approach is once again being gambled upon by the Trump administration and the Iranian government should be worried given the past success with North Korea. 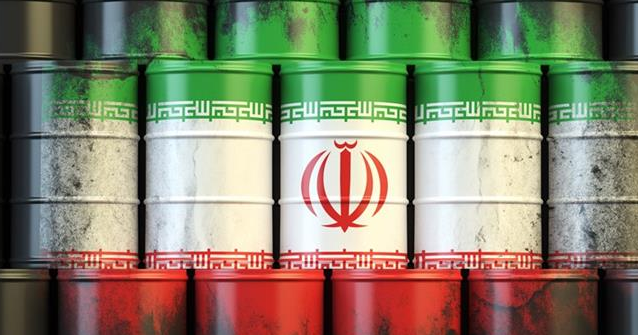 Still, this situation could either resolve itself diplomatically, or it could take a severe turn for the worse, with oil from Iran essentially disappearing from the general markets, causing a dramatic move higher in the price of oil. For the short term, we can expect that the price oil is going to trend higher, until a resolution is reached, or balance is restored. You can expect $90 USD per barrel over the next quarter to two, or even $100 USD per barrel if a diplomatic resolution is not peacefully reached. Ironically, gold, which is typically closely linked to the price of oil has yet to rise in price. In fact it has trended lower in recent days, sitting at $1258.80 USD per oz. Traditionally this is not the case, as oil is one of the biggest production costs in relation to the mining sector, including precious metals. Additionally, precious metals typically rise when geopolitical tensions rise, however, in this case, once again gold and silver are bucking the trend. Trade competitors to the U.S., like Russia and China, have been regularly stock piling gold to hedge against the unpredictability of U.S. “Every month, Russia continues to accumulate gold, just like China. Why is that? 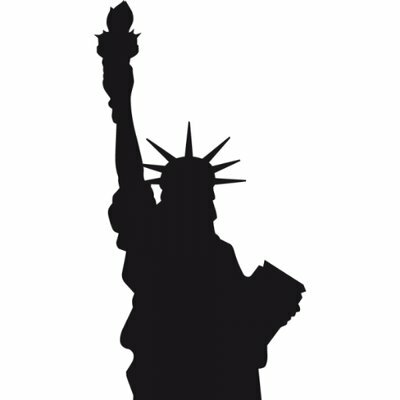 Because there’s a real movement, that’s very slow and gradual, not to trust the U.S. dollar,” Holmes told Kitco News. Holmes noted that with global trade under fire from protectionist policies, the U.S. dollar can no longer be depended upon by other major economies as a safe haven. “This thing on tariffs that Trump has been escalating now, has slowly been creeping for the last 18 years. It’s interesting that the Renminbi wants to be a reputable trading currency, well, countries want gold as a backdrop as a guarantee against the Renminbi,” he said. Where does gold come from? What does gold represent in different cultures? When did gold start being used as money? Don't miss Jim's superb insights! He thinks that, based on his extensive research that Spanish banks are in even worse shape than Italan banks! (UH OH!) and that emerging markets are already starting to crack given this 2+ month US Dollar Index rally. Jim has been accumulating more positions in commodities including agriculture, oil and energy stocks and also junior gold mining stocks. Online retailers are going to be hit with an online tax, this will not help the retail industry, it will only hurt it. US homes are less affordable and many first time buyers are being pushed out of the market. 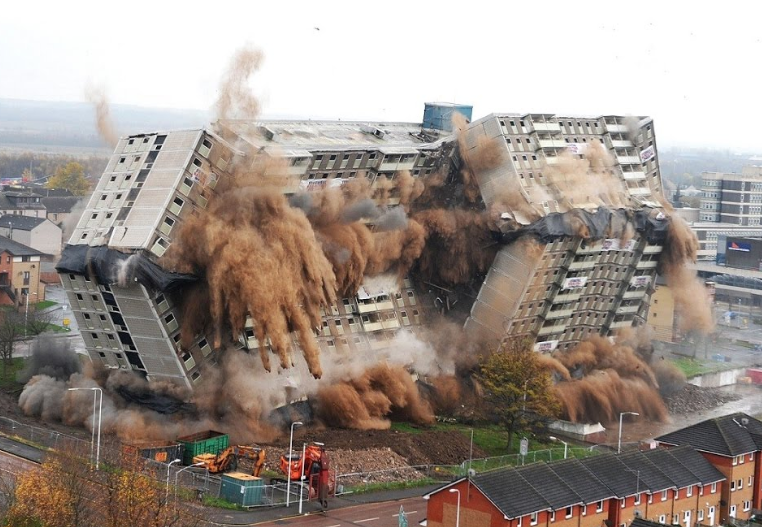 The Philly Fed crashed as did new orders. This is not a good sign. Russia has dumped US Treasuries and purchased more gold with its dollars it has received. The system is breaking apart and crashing all at the same time, the FED is pushing their narrative and they are hoping to keep control, this will be a fight to the end. The American Dream of home ownership is once again on its death bed. Home prices have dramatically increased in price, rising from their 2012 lows by a stunning 75%, with the average median home price now resting at $245,000! This is up 4.5% over the last year alone, which means prices are increasing and increasing fast. This has made home ownership essentially unaffordable for many millennial's who are looking to purchase their first home. This is causing more and more to either return home and live with their parents, or asking them for assistance in purchasing their home. Profits for many businesses are rising and consumer confidence is way up, recently hitting a thirteen year high, but this has not directly translated into an increases in wages, which continues to stagnate. This truly is the worst of both worlds for many average working citizens, who are just trying to make ends meat and pay the bills. This is what many in the precious metals community have warned about for years, stagflation. Sadly, many are completely ignorant to what is unfolding in front of their eyes, and they appear incapable of seeing just how similar this current environment is to that which led to one of the greatest meltdowns in modern history, the 2008 crisis. Stocks have roared higher, causing valuations to become more and more disconnected from reality, home prices are becoming increasing more unaffordable and wages are stagnating in comparison to inflation. This has the hallmarks of a disaster in the making. These problems on their own should cause one to take notice and pause in reflection, but this is not it, these are not the only problems that need to be taken into consideration. Geopolitical tensions are a true and real threat, with trade wars erupting all around us, the borders are closing and perhaps it will be many years before normality is restored. Tariffs have begun to be enacted on multiple sides, and at least in the short term, this posses a real risk to the stability of the "current financial order" we all liver under. For the better or for the worse in the long run, is a matter of perspective and in the eyes of the beholder. The global elites are unhappy with the system they have built being upturned and the rise of populist political leaders has spread to European Nations as well, with more and more "Donald Trump style" candidates gaining favor among their local constituents. One way in which they could restore a candidate of their choice, ie a puppet, is to crash the markets and purposely spur on a recession, which would undoubtedly drastically reduce the chances of President Trump getting reelected, given how much he has tied himself to the success of the economy. Whatever it is that sparks the next collapse is yet unknown, but what is known is that we have all the ingredients of an epic disaster in the making. One way to mitigate some of these risks, at least financially, is by diversifying a portion of your savings into precious metals, of which have stood the tests of time and weathered countless such storms throughout history. Whether or not you choose to prepare is your choice and up to you, but don't say you haven't been warned. Sparks are being lit on a weekly basis, it is only a matter of time before one catches and an inferno erupts. Financial writer and precious metals expert Craig Hemke warns, “It’s pretty obvious to anyone that we are in this parabolic Ponzi scheme. The debt is now increasing globally at such an exponential rate that, at some point, it becomes unserviceable. Then, at that point, you get this reset they’ve been talking about. Hemke warns that many people own the same ounce of gold held at big banks and don’t know it. Hemke explains, “It’s sort of like the people who show up at the Bailey Building and Loan on George’s wedding day (It’s a Wonderful Life). As long as nobody is making a run for it, and everybody knows your money is invested in Bob’s house and your money is invested in Mary’s house, as long as nobody wants their money right away, George Bailey can run a fractional reserve system like that. It’s only when somebody shows up and says I want my 1,000 ounces of gold, now. I want my metric ton, now. Joe Rogan and Pat Miletich on Ronald Regan, Afghanistan, Hillary Clinton, and Donald Trump. Ron Paul: Discrimination? Non-Aggression? Money In Politics? Ron Paul answers a range of questions involving our current state of the economy, politics and the culture we now live in. The esteemed Australian hedge fund advisor James Aitken sits down with legendary financial writer Jim Grant for an insightful conversation about central bank stimulus, the European financial system, China’s future, short selling, and more. Aitken, the founder of Aitken Advisors, compares recent European crises to the current state of the European economy and markets. He also shares his philosophy about how to properly navigate fully valued markets. George Soros buys stock in the NY Times and other publications, looks like he wants to control the propaganda. US resumes funding the White Helmets, the question is why now. Russia is reporting that the deep state is preparing another false flag in Syria, is this a coincidence or planned. Yesterday was another historic day in world history, as President Trump and the leader of North Korea, Kim Jong Un sat down in person for the first time ever, shaking hands and agreeing to discuss the possibility of peace. 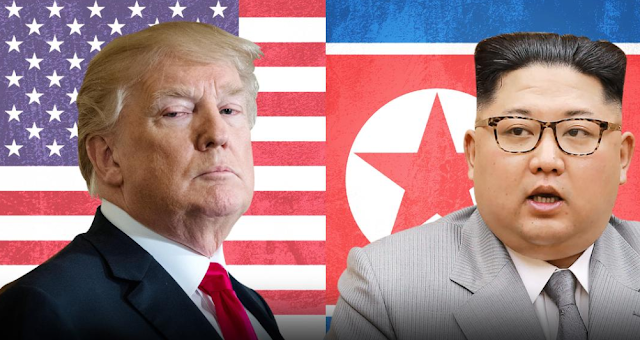 Despite your opinion on the two global leaders, the importance of this meeting cannot be denied and the reality of it should not be ignored, this is something that Western leaders have been attempting to achieve for decades and now, it appears for the first time in a very long time, peace on the Korean peninsula looks to be a true possibility. This meeting was preceded by months of jabs back and forth by both sides, with President Trump taking a much harsher and strong handed approach when compared to his predecessors, donning Kim Jon Un with the title of "little rocket man" and threatening "fire and fury" if he did not shape up his act. At the time, this was heralded as a drastic mistake by many in the MSM, with them predicting that it would close the possibility of peace for decades to come, rolling back what little progress was made over the years. However, as I predicted then, and as has now born out in reality, tough love has been just the prescription this situation needed. As could be seen from video footage of the meeting, the body language clearly showed two individuals that were under intense stress and pressure, nerves were running high as they met and tension was in the air and understandably so. With the world watching, President Trump seemed to take command of the situation, guiding Kim Jong Un many times throughout the meeting, the latter of which you could tell was extremely out of his comfort zone in these negotiations. Still, despite these and previous hurdles, the North Korean leader agreed to the complete nuclear disarmament of his military and further peace talks. This agreement is believed to be in good faith by many geopolitical experts and of which comes on the heels of North Korea destroying one of its major nuclear test sites already. World leaders applauded this meeting between the two parties, as they anxiously await to see what comes next, and whether or not this tenuous agreement will hold strong. I personally believe that in the long run it will, I also am not blind to the fact that there will be setbacks and there will be difficulties. North Korea has many hurdles to get over, such as their numerous human rights issues, before they will be accepted into the "modern" world and welcomed with open arms. Still, I believe that Kim Jon Un, although not a good man, doesn't want what he has inherited and truly does have a different vision for his country, a vision that does not fully align with his fathers and grandfathers. The future looks bright, for the first time in a long time and at least for the moment, we should savor it, as undoubtedly many more hurdles lay just over the horizon as it always has and as it always will. Could America end up with a new currency? Journalist Alex Newman says, “I think there are two competing forces here. Trump and Pence have both praised the gold standard. They have both publicly said the gold standard would be awesome. Trump has acknowledged that it would be difficult to go back to it, but it would be great. We would have a real economy with money that is based on something real. Then on the other hand, you have the Globalists. I did a cover story on this in 2008 and the effort to move us to a global currency. There is a very real risk that if they manage to collapse the economy, and I do believe they could do this, they then would come out and say we’ll save you. We’ll make sure your grocery stores have food in them again. All you have to do is accept this new global currency called an SDR. So, we have two competing ideas. America's Crony Capitalist + Welfare State hodgepodge has failed. What will replace it is still up for grabs. There are a vocal few who want to breathe new life into the dead carcass known as Socialism. The idea of 'something for nothing' never loses its luster. But it is the ideas of free markets and individual liberty that have intellectual and practical foundations to carry the day. Ron Paul discusses the road that Americans ought to take. If you are seeking to decrease your risks from urban collapse, surround yourself with self-reliant & independence-minded folks, and have the space, scope & scale you need to raise your own food and protect your family, where in the US are the few best states to relocate to , and why? Jim Rawles, founder of the largest and oldest Preparedness site SurvivalBlog.com, returns to ReluctantPreppers to answer questions on why he recommends people consider 5 specific states as their ideal relocation target. Skills, Barter & Trends: Rawles highlights some critical skills that we are in danger of losing unless we mindfully practice them and share them with our children and friends. He also recaps top priority barter items we'd be wise to stockpile. The G7 meeting did not go well, Trump does not agree to terms, the battle is now being fought in front of the world, the deep state against the patriots. Putin and Poroshenko speak on the phone to begin the process of making peace. The recount in Iraq is on hold when a mysterious fire burns down the building where the ballots are being held. The ceasefire agreement in Afghanistan is allowing the US to go after the IS. Turkey completes its border wall with Syria. Russia says they control 90% of Syria. Putin says that the rest of the IS is in the US controlled areas. Are you ready for someone to stand up to roust the financial elite and restore true constitutional justice, self-reliance, and prosperity for the middle and working lower classes? 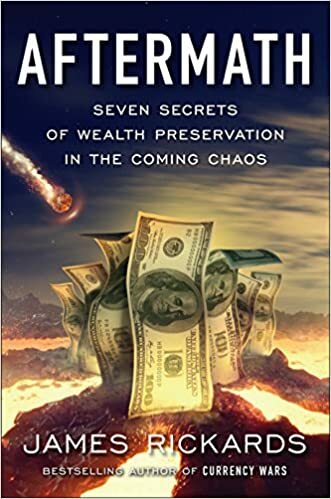 The only US Senatorial candidate endorsed by the California Libertarian Party, Derrick Michael Reid, returns to Reluctant Preppers to lay out his exclusive analysis of the corrupt roots of the last century of global wealth & power transfer away from the ordinary people to the financial elite. Reid offers the key pillars of his solution designed to set our nation back on the right course! Once again, big tech proves that they are not your friend and as predicted they have been busted red handed, selling your security and your private information. They are not your friend and they never will be. They work for the highest bidder. Trader/analyst Gregory Mannarino predicts, “We are going to face a moment when bonds are going to sell off rapidly, and no action by world central banks is going to be able to stop the bleeding. That means yields will spike very, very rapidly. You get a sell-off in the bond market. You get a sell-off in the stock market, and as you know, money will not go to money heaven. It will go somewhere, and it will go into suppressed assets, things they have been rigging now for a decade. A sea of red across the board. Contagion is setting in as investors in the United States return to the markets after their holiday weekend break. We are witnessing a full blown panic set in as markets around the world are down across the board. The source of this comes from Italy and their governments inability to form a cohesive government, with the current ruling party, ironically rejecting the offer to form a coalition with the next largest party, of which are Euro Skeptics. The reasoning for this, is that they believed it would cause unease and chaos in the markets. Humorously, the very thing they were trying to avoid, is exactly what they caused to unfold. Now, Italy faces a political crisis as the pro EU government begins to lose control and uncertainty gains momentum with each passing minute. Italian bonds have crashed overnight as investors flee the country and look for safer locations to part their funds. Faith in the current governments ability to restore order is failing. Once again, we have come full circle, as this story is a familiar one to anyone who has followed the markets for any period of time. 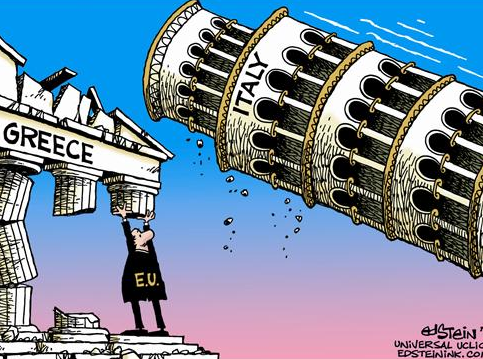 Italy faced its last crisis in 2012 and was bailed out by the European Union, as was Greece and Spain, the latter of which has now entered into another crisis as well. The situation is grim for those who are pro EU and who want to see it succeed, while those who are Euro Skeptics are gaining traction with each passing day. Contagion is now setting in, and is something that Central Bankers around the world are likely scrambling to stop, as it is the bane of modern banking system and of which has the ability to bring the entire system to its knees, as seen during the 2008 crisis. The doomsayers are out in full force, predicting once again the shattering of the European Union and I am on board with them. This system is utterly unstable and uncontrollable. Forcing so many countries, with greatly differing economies and political systems under one fiat currency and set of regulations is an abomination and a disaster just waiting to unfold. As we are now witnessing and as we have seen for many years now, these crises are going to continue to occur and are going to happen at an ever increasing rate, as the fractures in the system continue to spread. The European Unions days are numbered and despite how many band-aids they apply to the many wounds appearing all over their system, the end will come just the same. It is not a matter of if, but when. Great change is coming and with it, intense uncertainty and calamity, before eventually order is restored. Where does renowned financial and geopolitical analyst Martin Armstrong see big trouble brewing? Look no further than the bond market. Armstrong explains, “The bond market is going down. . . . We’ve already started into it. You have to understand both Japan and Europe have destroyed their bond markets. They have completely and utterly destroyed them. They are the buyers. That’s it. There is no pension fund that can buy 10-year paper at 1.3% when they need 8% to break even. They are locking in a 10 year loss. They can’t do it. We have been helping major funds shift into equities because it is the only place they can go. Once you start seeing the cracks in Europe, you are going to see interest rates rise faster than you have ever contemplated in your life. There is nobody in their right mind that can buy an Italian bond at 1.3%. It’s just not going to happen. Once the ECB is forced to stop, those rates are going to jump to 10% instantaneously. Once it starts to crack, that’s it, it’s gone.